Action Lab Entertainment is not one for resting on their laurels and they're about to launch their brand new series Charles Band's Puppet Master. Getting a new series off the ground is never easy and it's always to have a little help from friends. Action Lab is soliciting that help from New Dimension Comics, the popular Pittsburgh based comic chain for a massive two day signing event. 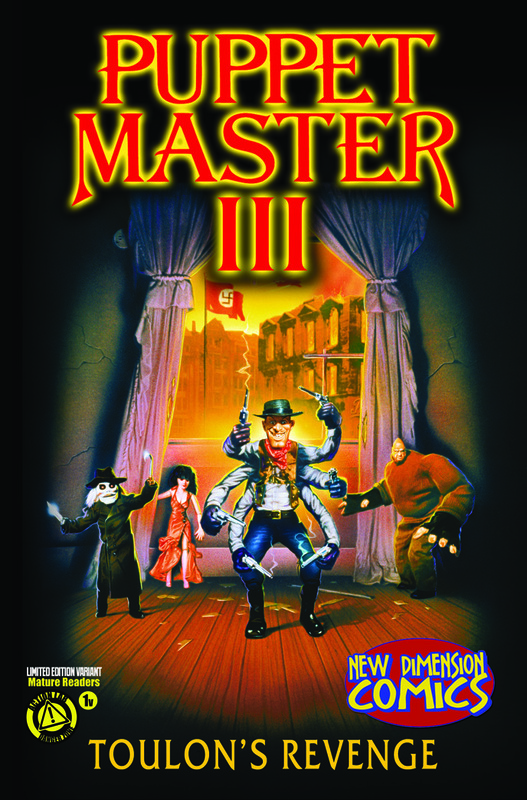 New Dimension Comics will host Puppet Master writer Shawn Gabborin and cover artist Scott Hedlund will be on hand to sign the limited edition store exclusive covers of the brand new series. Gabborin and Hedlund will appear at their stores in Cranberry, PA from 2-4 pm and at the Century III Mall in West Mifflin, PA from 6-8pm on Friday, April 3rd. On Saturday, April 4th, Gabborin will appear at New Dimension stores at Clearview Mall in Butler, PA from 2-4 pm and Pittsurgh Mills in Tarentum, PA from 6-8pm. Puppet Master is the story Andre Toulon, an elderly puppet maker who discovers an ancient Egyptian potion and uses it to bring his creations to life. At the height of World War II, Andre fled to America, pursued by Nazis. In a last ditch effort to protect his secrets, the master packs the dolls away and takes his own life. Years later a rogue psychic revives the dolls, leaving his associates to face off against the monstrous marionettes. Decades (and a handful of "masters") later, the puppets are still raising hell in their own unique way. 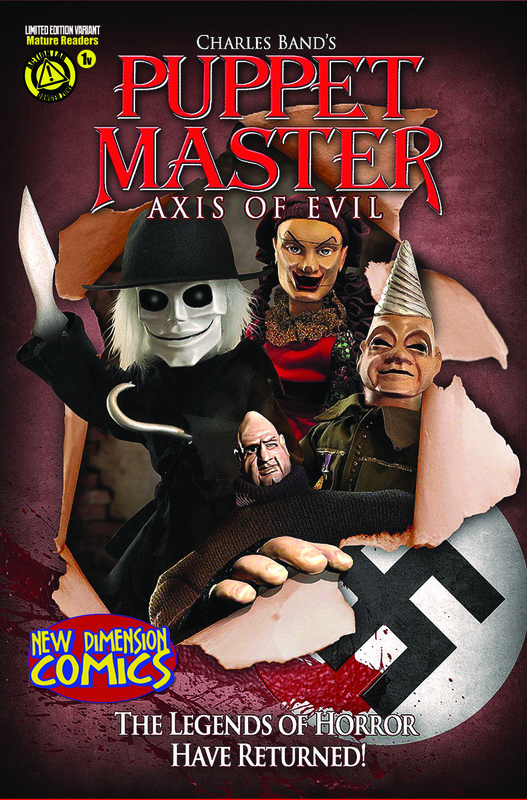 The Puppet Master film series has enjoyed a worldwide cult following since1989 and spawned nine sequels including the most recent, Puppet Master X: Axis Rising. 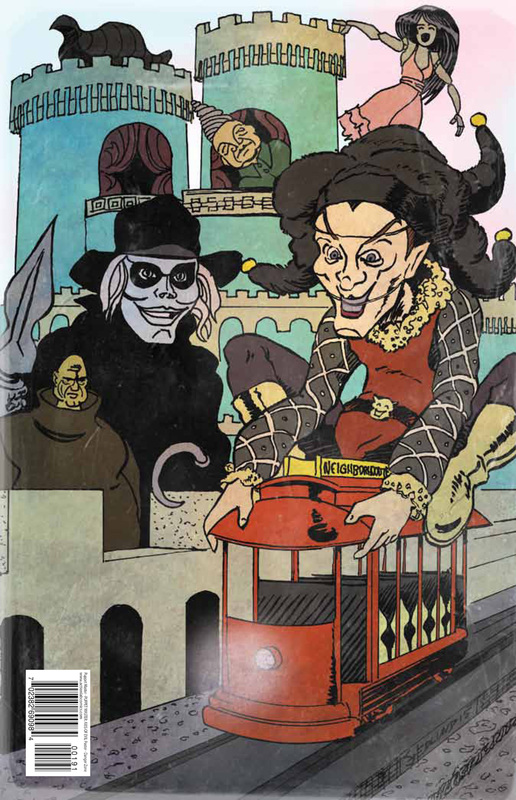 Puppet Master #1 is written by Shawn Gabborin, illustrated by Michela Da Sacco and Yann Perrelet. Full press release below. PITTSBURGH, PA- Action Lab Entertainment is about to launch their brand new series, CHARLES BAND’S PUPPET MASTER, based on the film series of the same name. In the spirit of brotherhood and camaraderie that built the City of Champions, the Pittsburgh based publisher is teaming up with popular Pittsburgh based comic chain NEW DIMENSION COMICS for a massive two day signing event. New Dimension Comics will host Puppet Master Writer Shawn Gabborin , and cover artist Scott Hedlund will be on hand to sign the limited edition store exclusive covers of the brand new series. Gabborin and Hedlund will appear at their stores in Cranberry, PA from 2-4 pm and at the Century III Mall in West Mifflin, PA from 6-8pm on Friday, April 3rd . On Saturday, April 4th Shawn Gabborin will appear at New Dimension stores at Clearview Mall in Butler, PA from 2-4 pm and Pittsurgh Mills in Tarentum, PA from 6-8pm. The Puppet Master film series has enjoyed a worldwide cult following since1989 and spawned nine sequels including the most recent, Puppet Master X: Axis Rising. PUPPET MASTER #1 Written by Shawn Gabborin, with art by Michela Da Sacco and Yann Perrelet hits comic shops nationwide in April. For store hours and directions you can visit www.ndcomics.com. For more information, retailers, press and convention organizers can reach Jamal Igle at jigle@actionlabcomics.com. ABOUT ACTION LAB ENTERTAINMENT: DANGER ZONE- Formed in 2010 with the purpose of pooling their collective talents into a single, powerful entity, the members of Action Lab Entertainment have countless years in multimedia publishing, design, and business. Their first release, Fracture, was successfully funded through Kickstarter and since then they have continued their mission to produce high quality, genre-spanning entertainment. Since its formation, the accolades for A.L.E continue to build on a daily basis. Among its more popular titles are all ages material like the Eisner, Glyph, Shel Dorf Award nominated series PRINCELESS, NFL RUSHZONE (based on the Nickelodeon Television series), Jamal Igle's MOLLY DANGER, Artist/ Writer Jeremy Dale’s hit series SKYWARD, and Gayle Middleton’s (My Little Pony, The Littlest Pet Shop) monstrously adorable VAMPLETS. Action Lab’s Mature Readers imprint ACTION LAB DANGER ZONE continues to push the envelope of comics entertainment with titles as varied as EHMM THEORY and Dan Mendoza’s over the top horror-comedy ZOMBIE TRAMP, THE FINAL PLAGUE and BO, PLUSHY GANGSTA.